Not sure if others noticed this in the Detnews.com yesterday, however, while our strabismus AG rummaged about his archaic footnotes of legalese, and even citing back to his Democratic Party predecessor as to somehow absolve an end to justify a collectivist means – there is this. Olympia keeps all revenue, including concessions and parking, and any naming rights deal. In an earlier interview with The Detroit News, Christopher Ilitch, president and CEO of Ilitch Holdings Inc, defended the way the arena was paid. “A public-private partnership is the only way any of these type of projects work in an urban environment,” he said. He pointed out that while The Palace of Auburn Hills was paid for by private owners, the key difference is it’s an isolated venue in the suburbs. “The Palace gets all the revenues from parking, concessions, retail,” Ilitch said, pointing out that those sources of revenue are key to the financial success of a major venue. Did you catch that? Out in the boonies of alleged sparse populous, a billionaire with his own money, is to house his own business with rightful privilege to any and all revenue gained from his ancillary services provided to his customer. 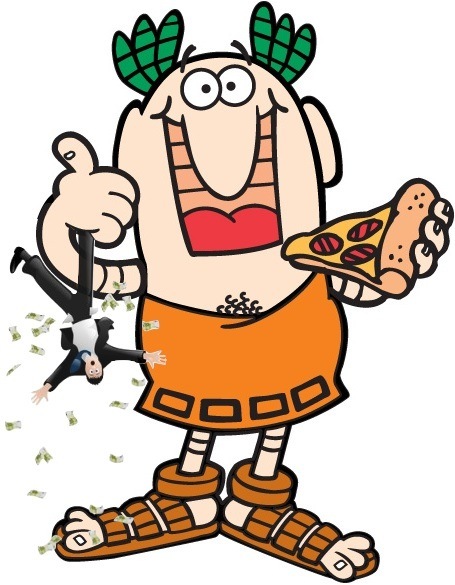 Now, contrast the above with the “urban environment” festooned within a bailout, and the opulence of guaranteed populous in a 143 sq mile boundary, it is unequivocally noted by said li’l Caesar, that not only is what is his, his – what is ours is also his too. Added bonus to us outside the bowels of “urban environment“? The state reimburses schools for diverted money. Well, golly gee. Thanks a lot for that, too! I read the opinion of the AG--the Q presented is can educational funds be diverted to demolish Olympia and build a new facility. The opinion said that it's perfectly legal to divert these funds to demolish Olympia, but not okay to use these funds to build a new facility. AT NO TIME SHOULD IT BE OKAY TO USE ANY PUBLIC FUNDS FOR PRIVATE USE. DDA funds are a tax--therefore public monies. Engler started this whole mess creating Downtown Development Authorities--they collect taxes from the businesses and use them however they see fit to enrich themselves. Solution: Immediately dissolve any quasi-government agency with "Authority" in its name.